I love Muji products. I actually visit their store in Robinson's Magnolia every week. I especially love their desk and stuff organizers. I also bought some bedroom linen from them because of their simple, no-frills style. Recently I bought a pen from the store and was surprised to see how smooth it writes on paper. I've heard about people who actually collect these pens and now I know why. I bought another set of three pens and might buy more. 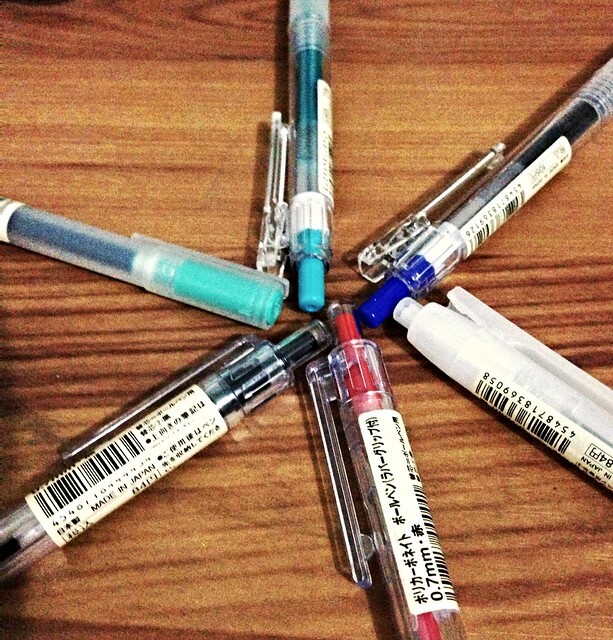 They cost more than ordinary pens but they actually are worth the price. 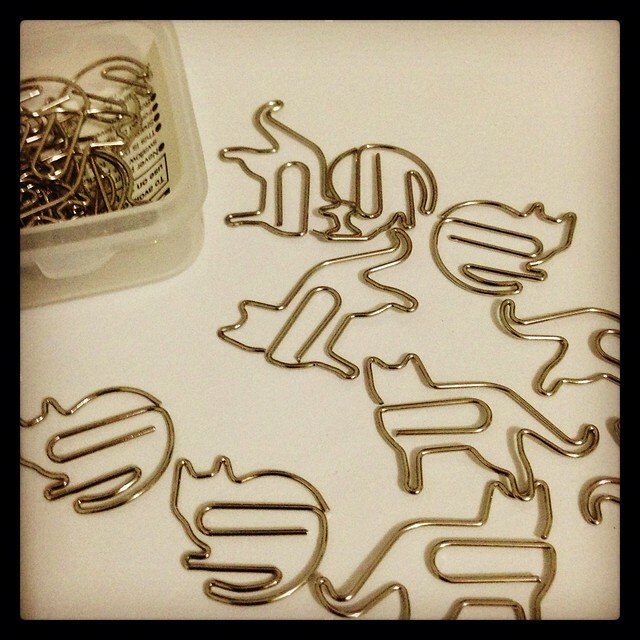 While buying the pens, I also discovered some paper clips shaped like cats. I like cats and these clips are so cute. I am not sure if they can hold some of the paper stuff I have at work but I think they will look nice on my table and in the Muji desk organizers I have on my desktop. Next time I visit the store, I will get the dog clips too!